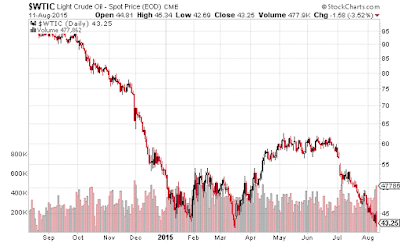 Oil is testing long-term support from the previous low in March. It looks like right now it could take it out and dive even more. There should be a lot of room for shorting if it does breakdown that support. It would be a major breakdown. Today it failed miserably on the bullish engulf formation it was trying. It's a bearish engulf now. 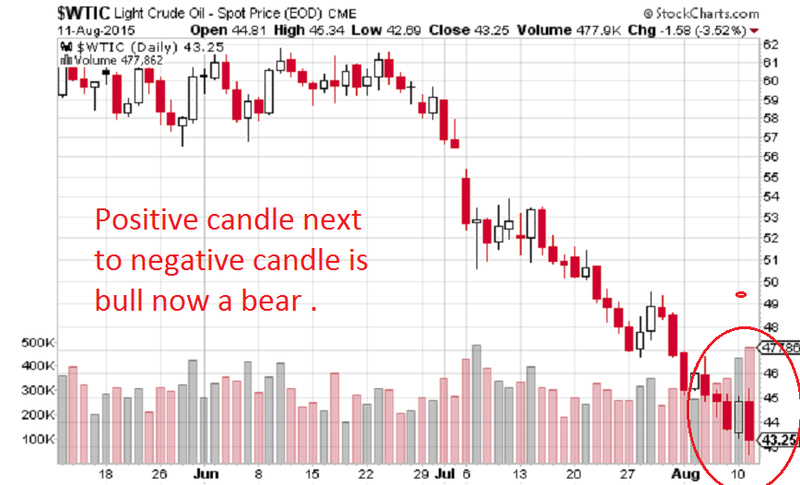 An engulf is when the days candle is just as long as the previous days but is opposite positive or negative day. Green or red rather. I drew up support and the engulfs. Breakdown level is clear in March below. All of this came from that tight trading range breakdown from April to July. Straight out of a textbook. Jack Schwagers for sure. 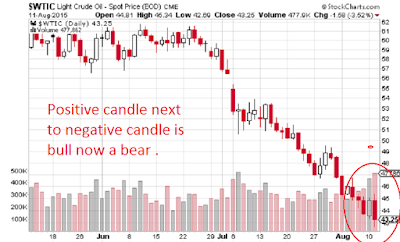 I had a lot of success shorting the technical breakdown on oil with CHK and SCO. CHK is lagging a little again and appears to be bear flagging again. I might trade these two again. On another note, oil at 20 or 30s is a gift for a long term investment. We know from history that oil only appreciates over the long-term. There will always be significant dollar inflation especially with our current debt levels.